Home / 2D animation / CP / news / UK & Ireland / Watch Aardman's Stunning WW1 Centenary Short "Flight Of The Stories"
Watch Aardman's Stunning WW1 Centenary Short "Flight Of The Stories"
2014 marks the Centenary of the First World War, and the anniversary is being marked by events and programming the world over. London's Imperial War Museum is commemorating this most sombre of anniversaries by opening new First World War galleries. 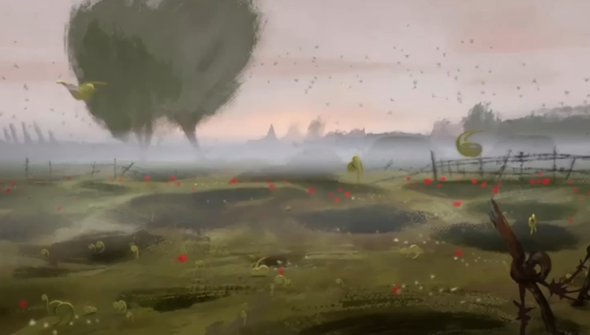 To mark their opening, IWM commissioned this stunning work from the peerless Aardman Animation. While you may associate the Bristol-based animators with charming and funny stop-motion such as Wallace and Gromit, this is entirely a different beast. Evocative, moving and beautifully animated, it's sure to make the hair on the back of your neck stand on end. It really shows the diversity of talent on display at Aardman. But, more importantly, it's a real work of art that will make you reflect. The Museum has been undergoing recent renovation and will reopen alongside the new WW1 galleries on July 19th 2014.